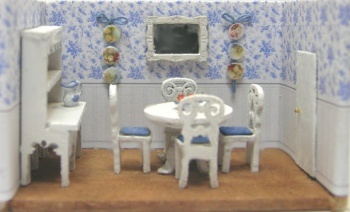 The chairs and the hutch are AWESOME! The table seems a tad clunky and was a bit hard to put together and I broke the mirror frame. :-( Still the end result turned out very nice!